Elderly people who are restricted to bed, whether temporarily or permanently, face challenges related to nutrition, muscle weakness, loss of appetite, respiratory problems and skin breakdown. Prevention of complications is important when taking care of someone who is not able to move normally. The knowledge of simple steps, along with compassion and patience, can allow a caregiver to perform basic skills to meet a bedridden person’s needs and reduce complications related to immobility. 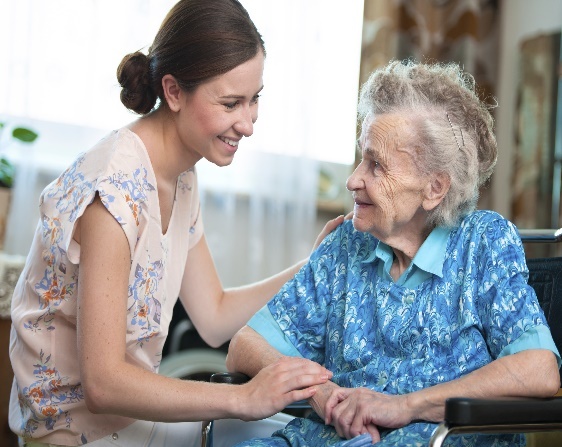 Our training is designed specifically for those working in residential facilities, will provide you with the skills to provide personal care to the elderly, and support them in maintaining their independence support individual health and emotional well being and follow safety procedures. We also provide you training to maintain a safe and healthy environment for children, support emotional and psychological development in early childhood. A practical work placement ensures that you acquire valuable “Real World” experience. Through the years, International Manpower Resources – Foreign HR Solutions Pvt. Ltd. has come to be known as the most dependable and competent, full-service Indian recruitment agency worldwide. Having begun with servicing only a few specialized sectors, we’re now the recruitment specialists for several sectors of operation in over 50 countries; including – Israel, particularly catering to manpower needs for eight key industries - hospitality, manufacturing, energy and resources, construction, oil and gas, engineering, IT and Telecom and support services for the projects of United Nations and the North Atlantic Alliance (NATO). Our competence, proficiency and dependability, in catering to every conceivable manpower need, through all spheres and stratums of businesses, have made us the leading Manpower consultancy firm of India. While we guarantee enhanced competitive edge to our clients through our unequalled manpower solutions, we concurrently value the career goals by the training of our candidates and ensure they’re in the right hands. It was this resolute drive that has established us as a peerless name of the industry.